There is no secret that vegetables are a true miracle for health. 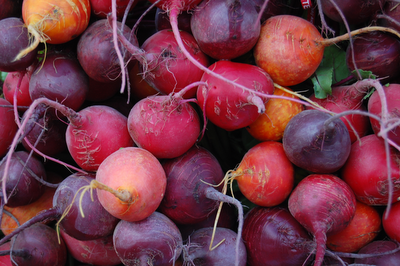 Did you know that red beet is energizing, anti-anemic and stimulate the activity of liver? Apart from the fact that beet is known for its ability to reduce fat, is also recommended if you suffer from digestive disorders, lung and liver. Therapists says that beetroot juice is one of the most powerful remedies in the treatment of leukemia and cancer. 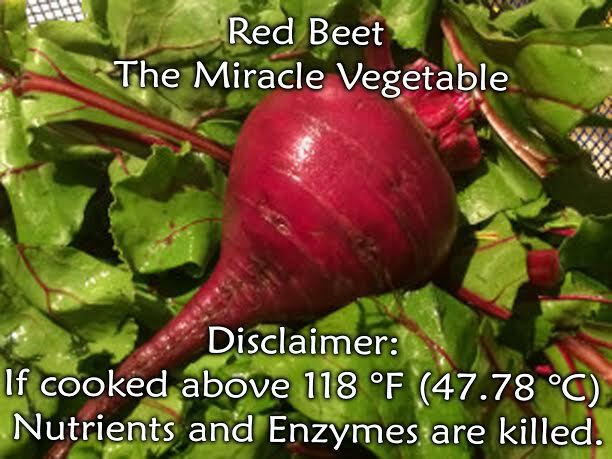 Red beet, by thermal processing, does not lose much of the vitamins and trace elements it contains, unlike other vegetables. Rich in iron, being topped only by garlic, is so useful in blood diseases. Iron is assimilated due to the presence of vitamin C in both leaf and root of the beet. It is also rich in copper which is found only in roots and is very important in the human body, copper deficiency leads to hair loss, impaired pancreatic function, delayed healing of fractures and more. Zinc is present also in large quantities. Zinc deficiency affects the seeing, reproductive organs and can cause heart attacks. Manganese help in the fight against renal diseases, protect the liver from adipose dystrophy, lowers blood sugar and helps eliminate excess water. Iodine, helps obese people who suffer from inhibition of thyroid function. Anemia: Due to iron-rich content favors raising the level of hemoglobin in the blood. The recommended daily consumption of fresh raw beets, cooked or pickled. 2-3 times a day, eat 200 g of beet salad, raw carrots and black radish, mixed with a little lemon juice and extra virgin olive oil. Alcoholism: The complex methods used in curing alcoholism and the enrichment provides the body with potassium salts, vitamins and other substances that help reduce the irresistible tendency to consume alcohol. 30 minutes before breakfast, drink 100 ml of beet juice, and between main meals, 2-3 times a day, eat beet salad, boiled or baked in the oven seasoned with garlic. Chronic bronchitis: With a juicer, squeeze juice from a pound of beets, mixed with 1 kg of honey, 500 ml wine, a glass of carrot juice and 1 kg of kernels and peeled peaches sliced thin. Put everything in a jar, which is then placed in a bowl with warm water. Boil for another 10-12. In the meantime, mix with a sterilized wooden spoon. Store in refrigerator. Drink 75 grams each morning on an empty stomach, then eat a piece of butter. The dose obtained is for a single person. This remedy, besides chronic bronchitis, help and heal other respiratory diseases caused by cold, but also for their prevention. 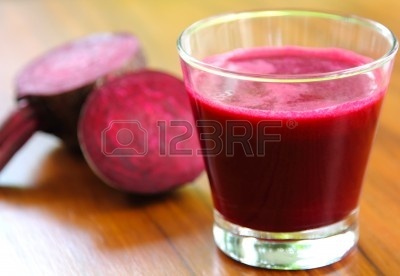 Cleaning blood and thus enhancing immunity: Recipe – Beet 500 g and 500 g of finely cut carrot. Pour boiling water over the vegetables as cover and cook them over low heat for 30 minutes. When vegetables are cooked, add one cup of raisins and dried apricots and let simmer another 5 minutes. After cooling, the preparation is mixed with two tablespoons of honey and let cool for 12 hours. Drink three times a day, 100-150 g for a month. The drug helps restore the weakened body by a serious illness. Constipation, hemorrhoids, hypertension, varicose veins, arrhythmia, intestinal obstruction: Boil 5 liters of spring water, and when it starts to boil add 500-700 grams of chopped beets, then remove them from heat. Let at infusion for 3 hours, then strain. Mix 150 g of sugar and a teaspoon of dry yeast and put it in a warm place for 24 hours. During treatment, you must definitely give up the consumption of alcoholic beverages, including beer. Together with beets, you can add water and herbs: corn silk, hawthorn, chamomile, etc.. 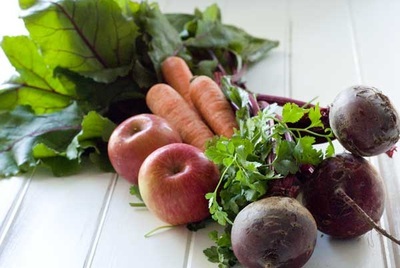 Heavy metals and radioactive poisoning, the dissolution of atherosclerotic plaques in blood vessels: Prepare a mixture of equal amounts of beet juice, carrot and black radish. The mixture is poured into a dark bottle and keep in a warm place. Drink three times a day, a spoon, between meals. For the dissolution of atherosclerotic plaques apple vinegar is very helpful, one tablespoon dissolved in tea three times a day. Absence of intestinal flora, after excessive use of antibiotics: Preparation – Boil the rinsed beets, cool down, peel and cut into thin slices. Put the slices in a jar, for a pound of beets you need a liter water, 2 cups apple cider vinegar, one teaspoon of salt and sugar, 10 whole black peppercorns, 6 cloves and 2 bay leaves. Bring marinade to a boil and keep on low heat, 3-5 minutes. Vinegar is added after cooling. Pour marinade over the sliced beets in a jar. Keep refrigerated. To be consumed at every meal every day, for at least 10 days. Flu, colds, influenza: Mix 300 g of beet juice, 200 g tomato juice, juice from a lemon, 5 tablespoons of onion juice, 4 sprigs of mint, salt, sugar and ground black pepper. After 2 hours, remove the mint and drink small sips juice of 50 ml, between meals. Hypertension: Mix equal parts of sugar beet juice with honey and drink two tablespoons three times a day. Instead of honey, you can mix it with juice or hawthorn. High cholesterol and constipation: Three liters of cold water (preferably spring water) is poured over 1 kg of chopped beets. Add 6-8 or 2-3 sprigs of nettle leaf, horseradish. The components are put in the pantry in a jar. Drink one glass three times a day. Menopause: Many women around menopause got massive bleeding due to uterine fibroids. 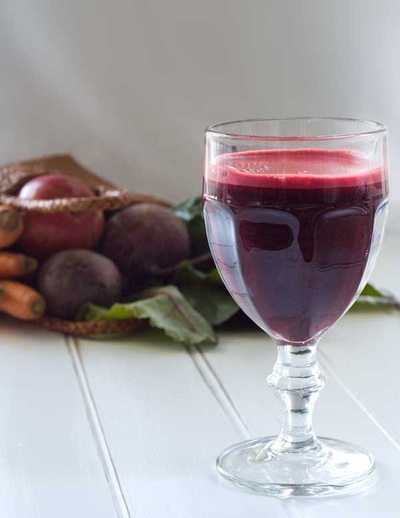 To recover the lost iron drink three glasses of beet juice daily. Stones in the gallbladder (bile): To remove stones in the gallbladder, along with other sediments, drink beet syrup. One kg of beets sliced thin, boil in 2 quarts of water, until a concentrated syrup is obtained. Drink 150 ml each time, four times daily, 30 minutes before lunch. Cancer (breast cancer, skin cancer, etc. ): In the fight against cancer is the pigment in beetroot with healing powers. Daily dosage is 250-300 ml of juice to be taken to cure, then for lifetime at least 100 ml per day. Red beet reduces the negative effects of cytostatics and bring back the lost appetite. 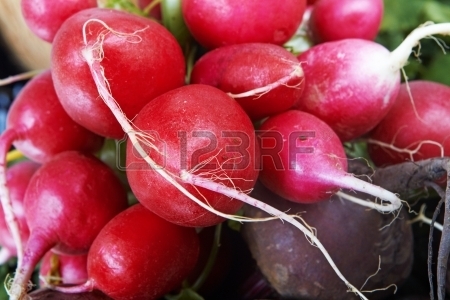 Beet breed can be mixed with flakes of barley, oatmeal, horseradish, banana, milk, etc. Patients with breast cancer or skin cancer can be covered with bandages soaked with beet juice on the affected area. Since the beet and carrot is very hard and firm with fiber, the easiest way to transfer the nutritional cell level from the beet or carrot to the body is by juicing. There is no nutrition in fiber. If you eat a whole raw carrot and send it through the digestive system, we lose over 65% of the nutrients in the processing and we use a tremendous amount of energy to separate out the pulp and fiber of the juice. As we send the carrot through the digestive system, only 35% reaches cellular level and if our digestive system is not functioning well, we may only get as little as 1% of the nutrients. But if you take that same carrot and run it through a mechanical juicing machine, NOT A BLENDER (a blender leaves the fiber in and we lose 65% of nutrients), the percentage of nutrients that reach cellular level with juice is in excessive of 92%! This is the Key. ....... since the MBP will clear estrogen receptor sites, and heavy metals as well leaving it easy for body to not only produce estrogen but also to receive it since estrogen receptors are now cleaned and uh, receptive! Heavy metals also block receptor sites, too, if you didn't understand the connection. Also, heavy metals in general will easily prevent child birth just b/c of their affect on the body. Beets not only remove heavy metals, but also they ?youth' you to point of removal of wrinkles and lines and fat from body, most especially removal of fat from strange places on body like around side of lips and under and over eyes and under cheeks and right under your chin!!! Not to mention love handles! Woo hoo! 3 steps are necessary and must be done in order... I highly prefer this be done every morning but it is not illegal to do this anytime of day at all... I have a morning preference b/c it gets it out of the way fast! 1. Take one shot glass of cinnamon - say 2 or more tbls of water mixed with a fork in 1 tsp of cinnamon - stir for 2 mins - if you do not stir well enough it will not mix well and will be an amazing annoyance on the back of your throat while trying to drink it down... right after drinking it you are to swallow little water to wash your throat of the residue of the cinnamon. Let's say this another way... you are to have 2 glasses in front of you. One glass is a stirred up cinnamon shot, and the second glass has a decent amount of water in it only, say 1 cup of water. Drink the cinnamon shot, then drink the glass with water in it only to wash throat of the residue of the cinnamon and to make sure you do not burn your throat from cinnamon heat. Again, you can do this for a week every day, then thereafter do the next step up - ? cup beet to almost ? cup asparagus juiced, then next week step it up again and - do the full 1 cup beet to ? cup asparagus juice... this is the MBP not the Major Beet Protocol... the Major is just plain scary not only in the amount of beets/asparagus you are consuming but in it's amazing affects on the human body, WOW! WOW! WOW! Very GOOD! 4 days of the Major and it will feel like someone lifted an anvil off of your kidneys, I kid you not...even if your kidneys function like perfection already! 3. Now lastly is to eat one apple or two apples or three apples: one apple (if amount of mixed juice had in it a total of ? cup of beet juice), or 2 apples (if amount of beets in the mix was ? cups beet juice) or 3 apples or more (if amount of beets IN THAT MIX as 1 full cup of beet juice ) - we're talking ONLY about the beet juice portion of this mix - the beet portion is the only reason we're eating these apples, so only measure the beet portion to know how much apples to take in - Next eat one or two carrots after the apples, I don't care if it takes you 2 hours to get down 2 or 3 apples then eat 1-2 carrots as long as you get them down and in THAT ORDER (apples first then carrots) ... you have to start with eating of apples right after the juice even if it takes you two hours to finish, just so long as you start Right After the juicing ok? if you did this correctly you should notice total perfection - not a drop or hint of side effects, fevers, chills, nausea, headaches, etc! ok? Eat those apples and then carrots to remove any drop of detoxing side effects. Note: many have no access to asparagus so if not using asparagus you can mix with other juicings instead, and the juicing amount to mix it with is 2 ?x to 3x the juice amount of the beets. Let's go over what that means: ie, if you juice 1 cup of beets, you need 2 ? to 3 cups of another juice to make this anti-nauseous, ie, to dilute it enough, you cannot drink this beet juice straight! The other juices you can use are carrots with lots of celery(or prefer 50/50 celery/carrot) or (and I used this next one all the time in Mexico ->) cucumbers and little celery or, third, just juice some apples and a little celery, and mix this with beets and drink... feel free to experiment with other juices to dilute this but asparagus is the only one I found that can be used in such a way as to not need much juice, while all other juices other than asparagus juice you must make 3x as much as beet juice soo - whew, that's a lot of juice if using anything but asparagus, you see the prob?? ... You get the idea.... I like the combo beet with carrot with apple with celery (and with cucumber possibly). The 2nd protocol is the now soo good that apples do NOT have to be eaten afterwards at all but I would still do it anyway to wash the kidneys please and make you feel "clean". or if you get the Green Star Juicer ($350ish) the enzymes will last 1 day maybe if you're lucky; however, #1 in the world juicer for preserving enzymes is, so far, is the Norwalk - so with these juicers above you can consume the juice mix later if you like making it very easy to juice a lot and drink it later saving you a lot of time of having to juice 2 to 3x/day .. yes??? (note: Norwalk makes enzymes last the longest, 1 ? to 2 days min, and 3 days max, but the other 2 types work only to make enzymes live for .... 1 day if you're lucky) - enzymes are a necessity if you're getting over anythinggg related to cancer, or other major diseases... or dealing with such. 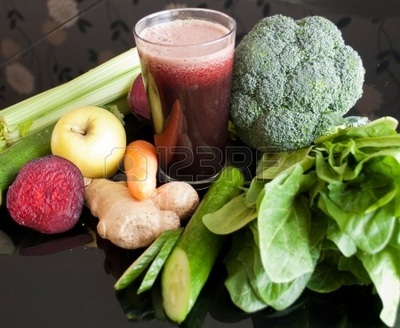 Dr. Bernard Jensen found in treating anyone with cancer and other diseases, that juicing and super juices will NOT work without the enzymes alive! Mix together all ingredients & press down firmly with a flat spoon and put a lid on it, set aside in room temperature. The cabbage juice must come up – that’s when you know it’s good. Leave to ferment for 2 to 3 days at room temperature. Press down 2 times daily until it’s “own water” comes up to the top. After 3 days of fermentation; place the Sauerkraut in the refrigerator.